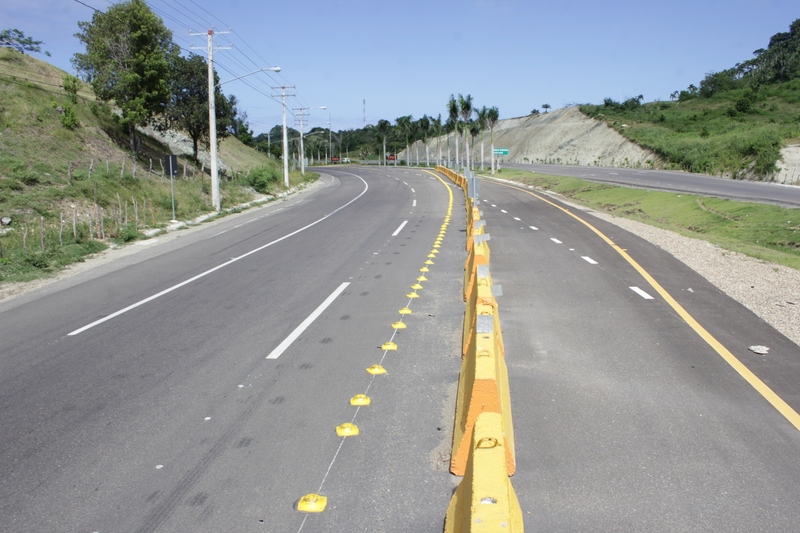 Puerto Plata residents consider the road a key element for tourism development and other productive sectors of the Atlantic coast. Deputy Public Works minister Ramón Antonio Pepín said the work progress, in a tour accompanied by a team of technicians. “The work on this road, which is 44.5 kilometers long, include stabilization of the base placed with cement to then prime and place asphalt in a section of 650 meters; placement of New Jersey barriers.., for the protection of the structure in those places that require it, and repair of existing shoulders,” the official said. He said the slopes will be stabilized to prevent landslides that cause accidents, the widening of the existing road with the required widths by standards, and the shoulders.